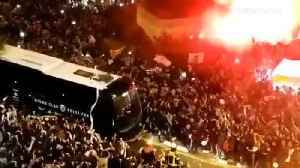 ASUNCION (Reuters) - The postponed Copa Libertadores final second leg between Argentine clubs River Plate and Boca Juniors will be played at Real Madrid's stadium on Dec. 9, the South American Football Confederation (CONMEBOL) said on Thursday. 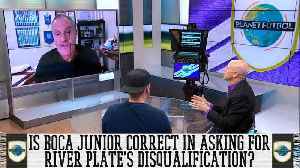 Andrés Cantor joins Grant Wahl and Luis Miguel Echegary on Planet Futbol to discuss the incident that occurred in Argentina that led to the second leg of the Copa Libertadores final being postponed and what will happen next. 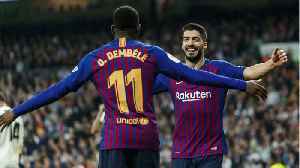 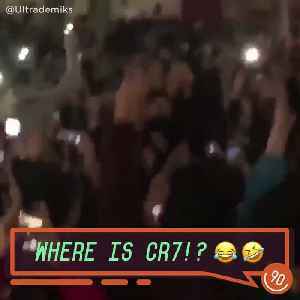 No mercy from Barcelona fans as they dump Real Madrid out of the Copa del Rey..
After losing to Barcelona in the Copa del Rey semifinals, Real Madrid will get their rematch this weekend in a La Liga match. 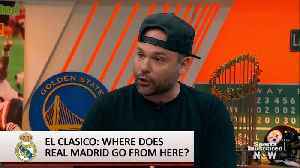 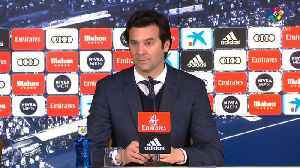 SI's Luis Miguel Echegaray shares why it would be devastating for Los..
Real Madrid coach Santiago Solari rues his side's missed chances as his team crash out of the Copa del Rey semi-finals to arch-rivals Barcelona. 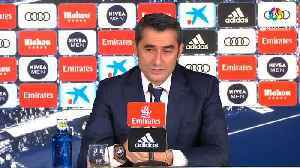 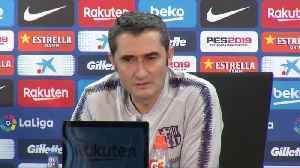 Barcelona coach Ernesto Valverde looks ahead to back-to-back Clasicos against arch-rivals Real Madrid.